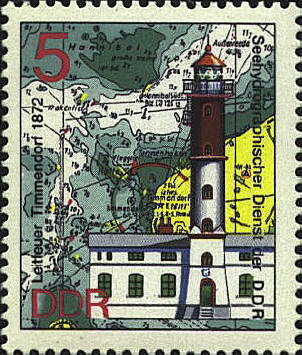 The Timmendorf lighthouse was built in October 1872 which replaced an earlier beacon from 1266. In 1930 the tower was made taller. 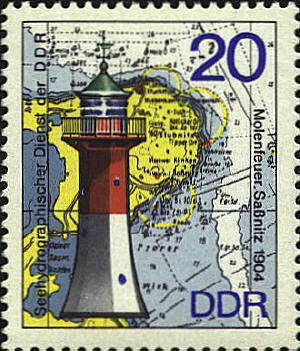 The lighthouse was built on the island of Hiddensee. 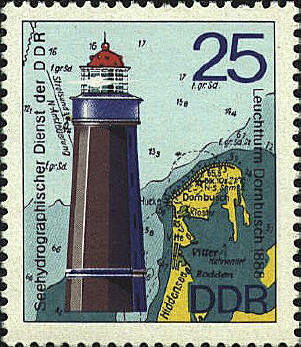 The lighthouse was built in 1904. It defines the limits of the mole. 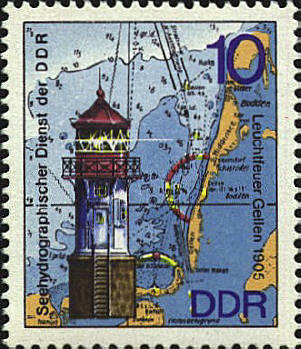 The lighthouse was commissioned in 1888. It is 23 meters tall and stands on the Dornenbusch bluff. 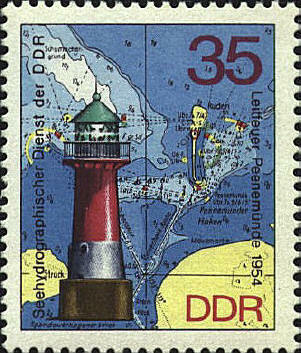 The lighthouse at Peenemünde was built in 1954.